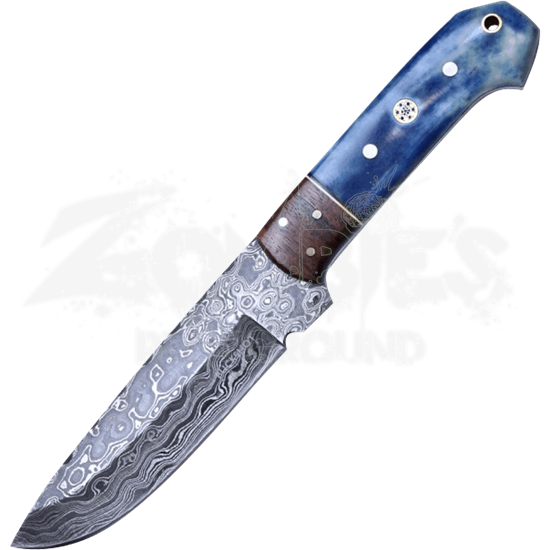 Our Blue Damascus Steel Utility Knife features a distinctive blue handle with a partial woodgrain accent. This knife has been crafted from a collection of steel that has been folded several times to create 250 layers which gives it that unique rippled water effect. The blade shape is a traditional drop point design. Included with this knife is a brown leather sheath offering easy access and transportation. This weapon can be used for many things, making it a versatile tool for nearly any activity. 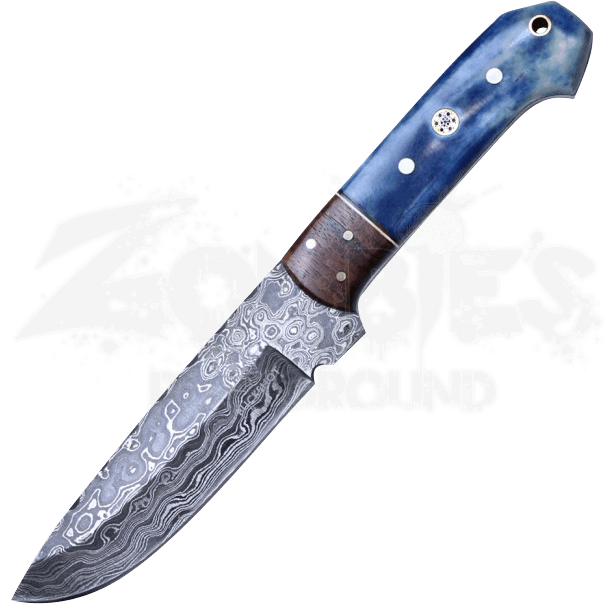 It is a fantastic inclusion to any kit or collection and offers a nice pop of color that sets it apart from other knives.